Moving house doesn’t have to be something that you take on alone. In fact, there is plenty of support out there for people who want to get it right. You just need to be prepared and know what the right help and support can do for you. It can make the task of moving from your old place to your new place so much easier and less stressful. So, here is more information on the help you need. If you decide to undertake every aspect of moving home on by yourself, then don’t be surprised when you get caught out. You’re properly not a real estate expert. And, to tell the truth, you need to work with people who are if you want to get things right. Trying to do things that you are not really qualified or experienced enough for will only lead to mistakes being made. Find a helpful estate agent who you can trust. They’ll Be with you every step of the way. 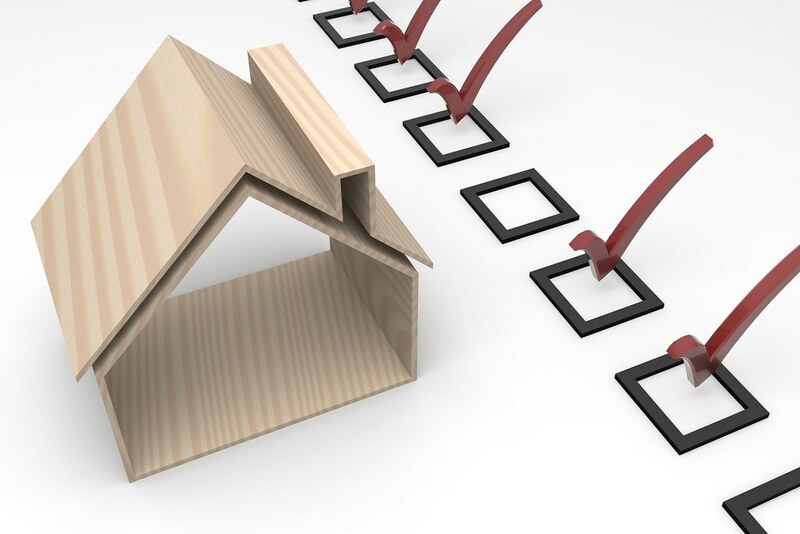 And you will also need the help of people who carry out home surveys and do conveyancing work. These people do vital jobs, and they’re experts at what they do. When the big day arrives, and you are taking the physical and logistical journey from your old house to your new house, you’re going to need all the help you can get. Professional movers are there to help you, so don’t assume that you are better off doing it yourself. People think that they can save money by not using professional moving services. But what if you do it alone and break things? You will have to stump up the money to get things repaired or replaced, and that could turn out to be even more costly. Having the support of a checklist is perhaps the most important thing of all. When you have a list in front of you reminding you what you need to do ahead of and during your move, you will be less likely to make mistakes. That’s a pretty big deal because mistakes cost big. A checklist is not a person either, and anyone can make one. So, you have no excuses for not creating a checklist for yourself and using it while you move. It could be the thing that ensures nothing goes wrong or gets forgotten about amid the chaos of the move. Moving house should be a team effort. It’s much more stressful when one person takes on all the pressure and responsibilities by themselves, so don’t let that happen. If your family is moving house, make sure that everyone is pulling their weight and contributing to the team effort. You should also see if you can get any help from your friends. When everyone chips in, you can save time and save money, and that’s what’s most important of all. Make it happen and watch your move go smoothly. It seems expensive for a landlord to continue with longer void periods. You shouldn’t find it tough to identify new tenants once your current tenant moves out. There are some areas in Slough wherein it’s not that easy to find a rental property, although the buy-to-let market seems to be growing fast. The easy availability of tenants in your neighborhood doesn’t guarantee the influx of families depicting good moral behavior and sober habits. The situation might be tricky for landlords in their pursuit for a good tenant. It might seem to be a good ploy in stating the fact that your property is registered with Twitter, Facebook, and a few other social media websites. Chances are there that your network has contacts that will show their interest in renting your property. Your property can be shared to a much wider audience and you’ll end up saving much on the brokerage charges when you opt for online letting agents in Slough. Your property can’t be listed with online property portals when you’re a private landlord. On the other hand, it gets easier for you to market your property in these portals once you register with an agent online. It will certainly help you fetch potential tenants in good numbers. Gumtree has a huge network and chances are there that they will check out your property very frequently. Gumtree gets your property listed with them for free. This method is truly recommended for identifying good tenants if you really wish to avoid spending more money. This is a traditional approach for finding fresh tenants. However, this method holds a surprise element. You’ll never know when a tenant might turn up. Once the word is out, people staying close to your property will start spreading the information within their social circles. More often than not you’ll find someone who is interested in finding a rental offer within the same neighborhood. It’s even beneficial for you if you find a tenant through common references. In the event you don’t find time to search for new tenants, then you must sign up with a good firm of efficient estate agents in Slough. Prior to getting registered, you must check out the cost involved in it. 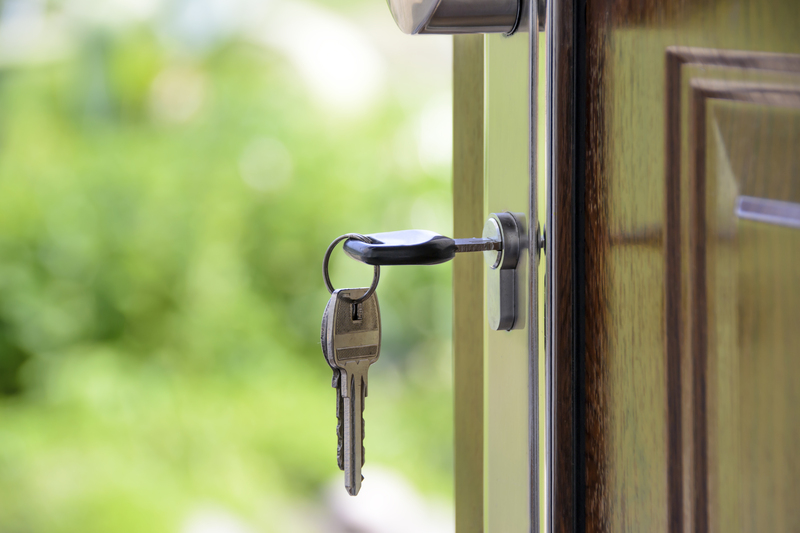 It may not seem to be a great idea to choose the very first person who requests a tenancy. However, the risks associated with choosing a bad tenant are certainly curbed to a large extent when you run proper checks and ensure needed diligence. You may wish to check out his previous tenancy history with the authorities. You must get in touch with the office of the state authorities if you wish to acquire information on a prospective tenant. Likewise, you must also check information pertaining to your tenant in advance. It’s truly essential for you to read through the terms of your contract carefully prior to signing. Risky Territory: Protect Yourself from Risky Tenants with This Guide! A real estate investor needs to protect their investment. Okay, so that goes for pretty much any type of investor. But a property is a lot different to the more abstract kinds of investments. This is a big, expensive, tangible investment that can be physically harmed. And it’s something that you’re going to want to let people inside if you want to maximize the investment potential. So when we talk about protecting real estate investments, we have to talk about tenant credit risk. It’s important that you understand the many elements of this type of risk. After all, a lease is only ever as good as the tenant to whom you’re giving it. No matter what kind of lease you plan to work with, bad credit can pose a risk to it. There are some misconceptions about certain types of lease. Triple net leasing, for example, isn’t immune to the dangers of a tenant who poses a credit risk. The reason that triple net leasing can help protect you from this sort of risk is because of the control it affords you. You can easily modify the terms of a triple net lease. Charging a high-risk tenant more because of their credit history is more feasible with this type of lease. Read more about triple net investing at www.triplenetgateway.com. So you know that you should get a credit report from someone who wants to be a tenant. (It isn’t necessary, but it is advisable if you want to alleviate this sort of risk.) But what “score” results in “bad credit”? Well, the credit scale is ranked between 300 and 850. A lot of people don’t know that it begins at 300. They see three digits and assume that it’s a high and thus “good” score! But if it’s between 300 and 629, the credit can be considered bad. Beyond 690, the credit can be considered good. (In fact, anything above 700 can be considered very good!) Read more about these scores at www.wikihow.com. Here’s the annoying thing about credit checks. Depending on the company doing the check, and depending on the purpose of the check, the scores can vary. Where one sees a bad credit score, another may see a fairly good one. So while you should get a credit check done, you shouldn’t jump to conclusions. You should find out the specific reasons for the bad score. Read more about the potential reasons at www.blog.credit.com. One of the reasons you shouldn’t dismiss someone with a bad credit score is because they could actually be great tenants. There are so many things that could contribute to a bad credit score. It may even be a problem they’re unaware of. But someone with a bad credit score may also have a history of paying their rent on time and in full. If possible, get in touch with their previous landlord. They could have glowing things to say about them! You must consider tenancy credit risk. But don’t let a bad credit score be the be all and end all of it. Investigate further! The wallets of majority of Americans are in great shape since the Great Economic Recession. With steadier job security and higher pay, tax perks for homeowners, especially for the novices can make the entire prospect of homebuying more attractive. Homeownership is special as it offers tax breaks which renters don’t have and this is being considered as the best time to buy a home, tax-wise. For the prospective homeowners, a house is more than an asset which can help them cut down their tax liabilities. First-time homebuyers should be aware of the credits and the housing tax deductions which can help them save thousands of dollars and waive off the homeownership costs. Though you may require a little more paperwork to claim these benefits but at the end of the day the savings that you make is worth the effort. Irrespective of whether you bought your home for the first time or you’re planning to do so in the coming year, here are some tax breaks to retain more money in your wallets. Perhaps the biggest tax break which you can get after purchasing a home is the mortgage interest deduction. This is a deduction which covers interest which is paid up to $1 million worth of mortgage loans and this is of particular benefit to borrowers who are new with their mortgages as they have to pay more interest rate initially. As the way in which loan amortization works, the initial payments will be towards highest ratio of interest to principal and hence you will receive a major part of the tax benefit then and there. However remember that the homeowner will have to file an itemized tax return to claim the mortgage interest payment deduction. This is not only the interest rate that you pay on your mortgage every month that qualifies for a tax deduction. Majority of the homeowners miss out on the deduction of points which are paid to secure a home loan. Mortgage points are prepaid interest which qualifies the borrower for a low rate throughout the life of the loan. Since it is a payment against interest, it qualifies for itemized deductions. The Mortgage Credit Certification Program can offer yet another opportunity for the first-time homebuyers to get tax perks on their mortgage interest. As per the IRS, this program has been introduced with the aim of helping low-income individuals afford home loans. This is not like a deduction which reduces your taxable income. This credit directly counts against the tax bill that you owe and lowers whatever amount is taxable. This is a cool program indeed but at the same time it is not much known among the prospective homebuyers. In order to grab this credit, you would require qualifying for Mortgage Credit Certificate by either your local or state government. Taxpayers who itemize their deductions on Schedule A are even eligible for deducting real estate taxes that are paid on their primary and secondary residences. There are certified financial planners who say that you can also deduct real estate taxes, provided you pay them within the year on which you file them. One more thing is that the tax that you pay should be for a home that you own as you can’t claim taxes which are paid on a property belonging to someone else. Owning a home of your own is definitely a huge part of the American dream. Almost all Americans nurture the dream of owning their own home, no matter how costly the affair may be. Fortunately, the IRS still has several homeowner tax benefits which assist families in buying a home with ease. There’s a lot to grasp when you’re anticipating the purchase of your first home. And, in no time, you’ll surely find that it’s a lot harder than you might have hoped. Stumbling blocks will be placed in your way, and you’ll need to navigate them successfully. We could do an entire article on the potential pitfalls, but we’d be here all day. Instead, we’re going to focus on a chosen topic: employment. Yes, your employment status and the details surrounding it are crucial when it comes to buying a home. We’re going to talk about why this is, and the factors that go into it. So, why is your job so important? It’s very simple. A mortgage lender will calculate your average income based on the amount of pay you have received over the last 24 months. If they don’t think that you’re going to be trustworthy, you’re not going to get approved. In general, you’ll be fine if nothing has changed over the past two years. However, if you’ve bounced between jobs or you’re anticipating changes in the near future, it might be a little harder. That doesn’t mean that you’re out of luck, though. If you seek help with a private home loan, you’ll often find that lenders are willing to compromise. You’ll still need as much proof as possible about your current circumstances. They’ll require this information in order to provide you with a quote that works for both you and them. It’s important to be honest, no matter what. But, what’s the best career choice for you at this time? Is it right to switch jobs now, or should you wait until your home buying aspirations are put into practice? It all depends on the type of work you’re doing, the salary you’re getting, and the hours you work. Importantly, it’s not always a good idea to switch between part-time jobs with varying hours. Ideally, the lender wants to see a steady pattern. If you’re moving from a 40-hour per week job to a 40-hour per week job in another company, it shouldn’t be as concerning. Also, lenders ideally prefer a salaried job to that of a self-employed freelancer, for example. It’s always beneficial to have a steady income that rarely fluctuates. This shows that you’re trustworthy to repay on time without issues, so keep this in mind. Ultimately, it isn’t always possible to meet the demands of a lender. That’s why honesty and compromise are important if you want to succeed, whether it’s through a bank or private means. Interest rates might go up if your risk is higher, and you need to carefully think the decision through. If you aren’t willing to abide by those requirements, make it known. It’s much better to back out now than find yourself in a devastating financial position later on. If you’re in the market for a home, it’s important to remember how important your job is to the decision. Before you go making any rash decisions, keep in mind that stability is a valuable asset. Millennials are always in the media these days. Most of the time, it’s because they are finding it incredibly difficult to get their foot onto the housing ladder. Is it really that difficult, though? If millennials took the following steps, they might find that buying their first property isn’t quite as out of reach as they think. One thing is for sure. There is just no way a millennial will be able to buy a home in London in the current economic climate. To be able to afford a house, they should be looking elsewhere. The further away from London you go, the cheaper houses get. Just look at Leeds for example. It is often thought of as the capital of the north. There are lots of jobs, and housing isn’t very expensive. You can see the type of prices online at Bridgfords.co.uk/forsaleoffice/leeds/2236/. Many millennials don’t have enough saved up for a deposit. You only need a ten-percent deposit for a mortgage on a property. That isn’t that much when you think about it. If you don’t have anywhere close to that amount, you need to start saving right now. Even if you don’t have that much money spare at the end of the month, every little counts. It will probably take a few years to save up a good deposit, but you will get there in the end! The government knows just how hard it is for millennials to get on the housing ladder. And that is why they have created some schemes to try and make it easier. One of the best is the Help to Buy scheme. People who want to buy their first property can open a Help to Buy ISA to help them save up. The government will give you a bonus on top of your savings. This is to increase the size of the deposit you can use towards a house. Don’t become disheartened and give up looking. You never know when a bargain might come onto the market. And if you take your eyes off the current houses for sale, you might miss out on this fantastic bargain. So keep on looking to make sure you don’t miss out on any fantastic deals on property in your area. Millennials and property just don’t get on? If they follow this guide, they’ll get on like a house on fire! You guys know that I am always keen to find new ways that I can help my readers save money. One of the most expensive situations that you’ll go through in life is selling a home. I’m not just talking about buying the new property either. The process of selling can get incredibly expensive if you’re not careful. You need to hire the services of a number of different companies such as removal teams and solicitors. You may also need to complete some expensive work on your property before it’s ready for the market. So let’s look at the best ways to save money during this particular sales venture. This might sound crazy but bare with me. A lot of people decide to add an extension to their home to make it more valuable. 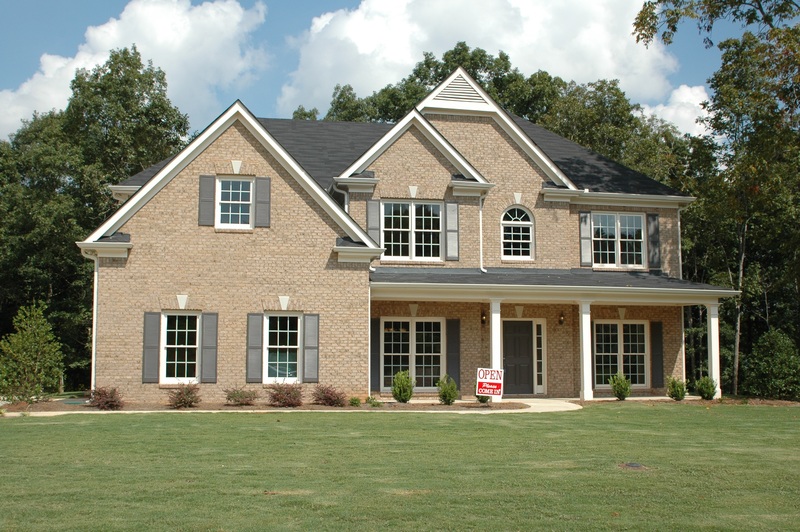 To an extent, this makes sense because making your home bigger certainly increases the value. However, there’s no guarantee that you’ll get the money you put into it, back. If your extension doesn’t cost a lot, there’s a good chance it’s not build to a high enough quality. In the case, it’s likely that your home will lose value which is the last thing you want. A better idea is to instead paint the walls bright creams in most of your rooms. This is going to make them look bigger because they will be brighter. By doing this, you can alter the buyer’s perception without spending a fortune, extending your home. 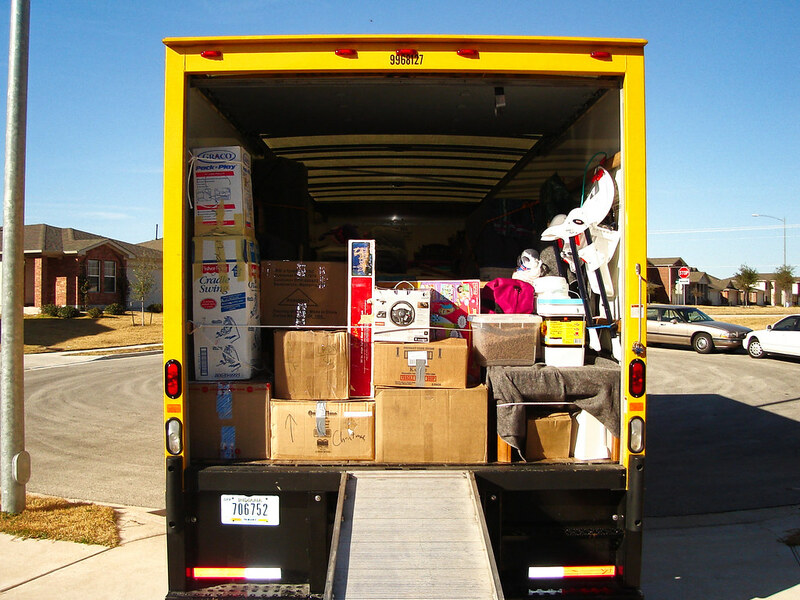 During your home move, you might need to put some of your belongings in storage. It’s usually crucial to do this so that your home didn’t look cluttered and packed full of items. You will also need to hire a removal team to get your belongings from your old home to the new property. The best way to handle these needs is to combine them. 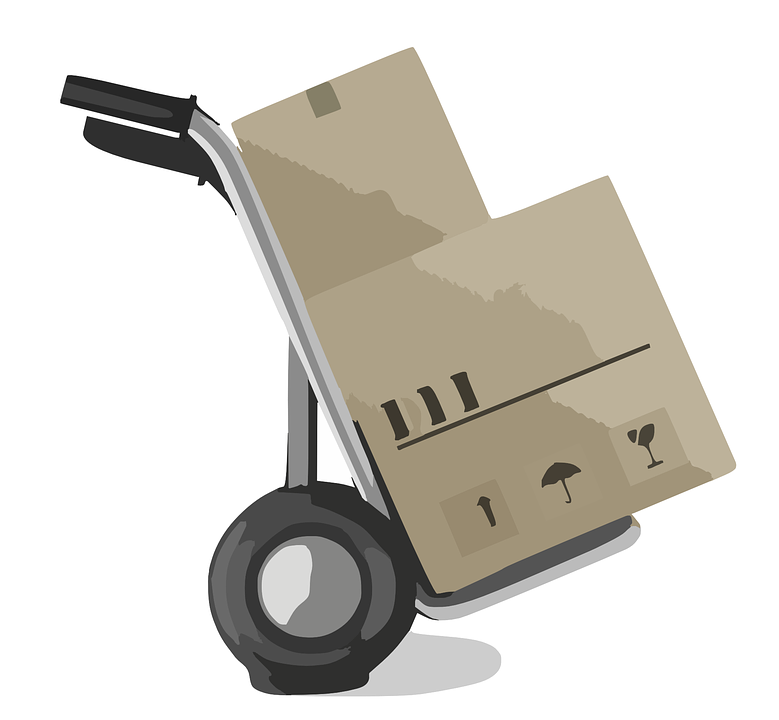 There are removal teams such as A2B Removals that offer both. They’ll keep your excess belongings in a secure place and move everything to your new home. By only hiring one company, you’ll be cutting the cost of paying for two different services. If you are working on improving your property, you can aim to complete the easier jobs yourself. For instance, there is no need to hire someone to do the gardening. Most people know how to cut the grass, plant flowers and make a garden look presentable. Unless you are completely clueless in this area, DIY. You’ll save money that you’ll then be able to spend on other things after you move. Remember, most home buyers complete renovations on the new property in the first year. Finally, you should spend a little time shopping around the market before you pick an estate agent. You need to find the company that is offering the right price, and costs do vary significantly. Some charge a fortune because of extra services that they offer. However, there is no guarantee that you need these services. Most people feel that as long as the home is online, available to view, there’s no longer a need for extra marketing.